Failing to prepare your home for hurricane season in Florida can result in costly damage to your property. Take steps in advance to secure your home and reduce the chances of a storm harming your home and putting your family in danger. In this article, we have discussed 5 ways to protect your home from wind damage. 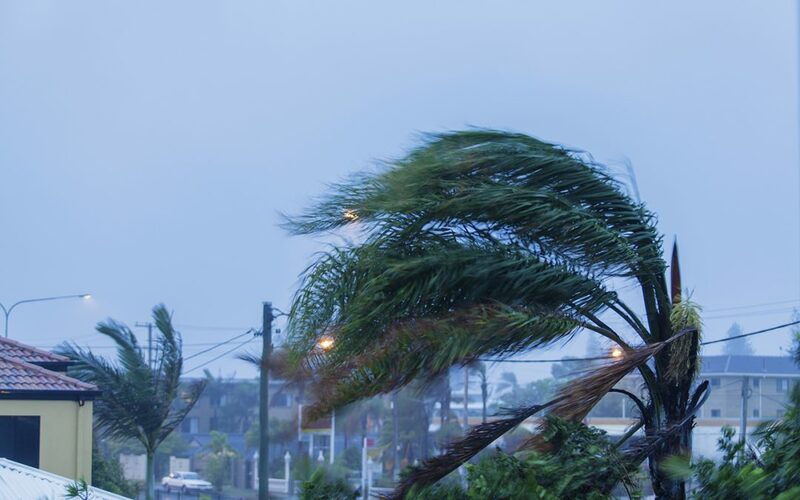 During hurricanes and tropical storms, the most everyday items on your property can become deadly projectiles propelled by gale force winds. Store outdoor furniture and barbecue grills in a secure space such as the garage before a storm, and make sure smaller sheds and other outbuildings are securely anchored to the ground. To protect your home from wind damage, it is important to not only consider the wind itself, but the damage that loose items blowing around can cause to and around your home. When storing items in the garage, make sure that the garage door is reinforced. Any trees that are growing close to your home should be assessed for removal before hurricane season is in full force. If the tree is dying or otherwise compromised, it could easily blow over and damage your roof and even injure somebody. Branches hanging over your home should also be removed. Any metal objects in the yard should be removed. Anything metal flying through the air at 80 or more miles per hour can cause serious injury. Go around your yard and collect any decorations, tools, or other loose metal objects before the winds hit. Shingles are particularly vulnerable during periods of high wind activity, largely due to their low weight and exposed position on the roof. Loose shingles tend to go unnoticed over time, since the roof is not accessed or looked at closely often. Despite the tedium of the task, it is important to keep shingles secure so that they don’t get lost in the first big storm of the season. Any loose shingles should be reinforced with roofers nails. If you don’t feel comfortable getting on the roof, hire a professional home inspector to inspect the roof and a roofer to secure the shingles and make any needed improvements. Whether you invest in storm shutters and doors or attach plywood over your windows, you need to cover up all openings to prepare for a hurricane. Purchasing and installing hurricane shutters is the safest option to protect your home from wind damage, but boarding up with plywood panels is a quick solution in a hurry. Click here for a DIY guide about boarding up windows before a storm. Top Notch Home Inspections provides wind mitigation inspections to Northeast Florida. A wind mitigation inspection will help you prepare your home for high wind events and can also help you get credits towards your homeowners’ insurance. Contact us to schedule your appointment.